More development produces more stormwater runoff from impervious surfaces in commercial, industrial, and residential areas. The most effective collection and treatment method for stormwater runoff is bioretention, also called ‘rain gardens’ in parks and residential areas. Stormwater runoff is directed and collected in bioretention areas for treatment. Bioretention areas include plantings that vary from turf for function and safety, to wildflowers, trees, woody shrubs or ornamental grasses for aesthetics and ecosystems. Healthy vegetation contributes to stormwater pretreatment through physical, chemical and biological processes through uptake and removal of pollutants in the stormwater runoff. Today we know that the bioretention soil, media, or mix, within the device is critical to treatment performance and long term function. Bioretention design and media specifications vary between states and municipalities. 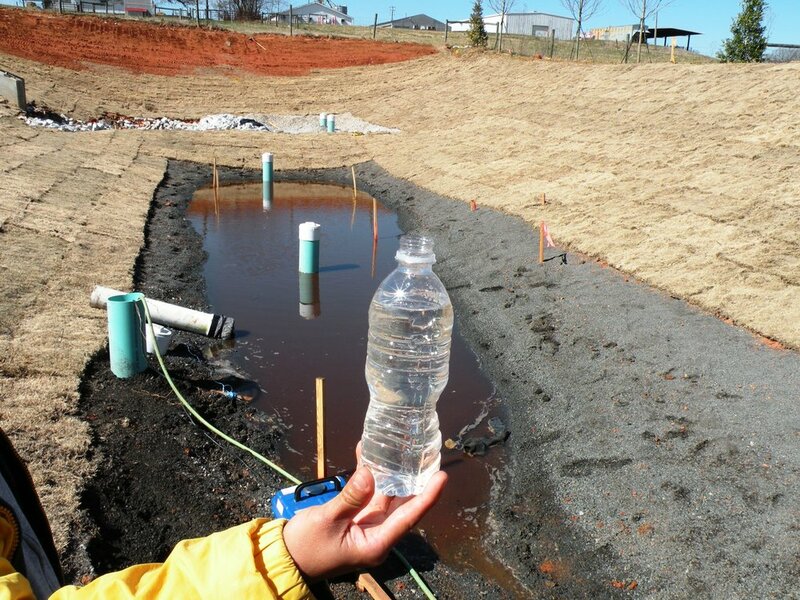 In North Carolina the Department of Environmental Quality improved the specifications for bioretention media which allowed the use of ASTM C330 lightweight sand. The Stalite expanded slate # 16 sand provides additional air space deep in the system providing oxygen for the plant roots. Deeper plant roots support the ideal environment for the microbes to do their job thereby reducing the need for extended retention time. The variations in bioretention media specifications, complexity of the soils on site, and the potential for sediment accumulation can result in clogging, failure, and expensive repair. Stalite expanded slate sand #16 possesses physical and chemical attributes that serve this application very well. The coarse expanded slate particles are more angular and porous than typical silica sand, Stalite self compacts in an open gap configuration that promotes uniform hydraulic conductivity and provides easy maintenance by trapping unwanted fines on the surface. 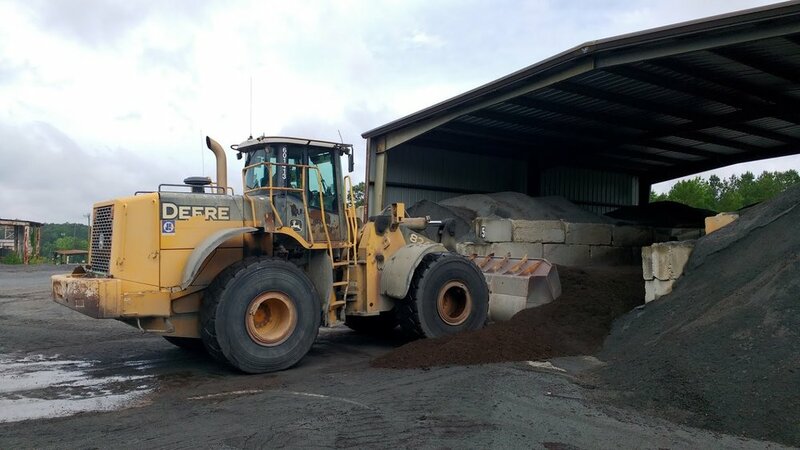 Research has demonstrated that Stalite expanded slate sand bioretention media removes more of the target pollutants than other proprietary mixes. 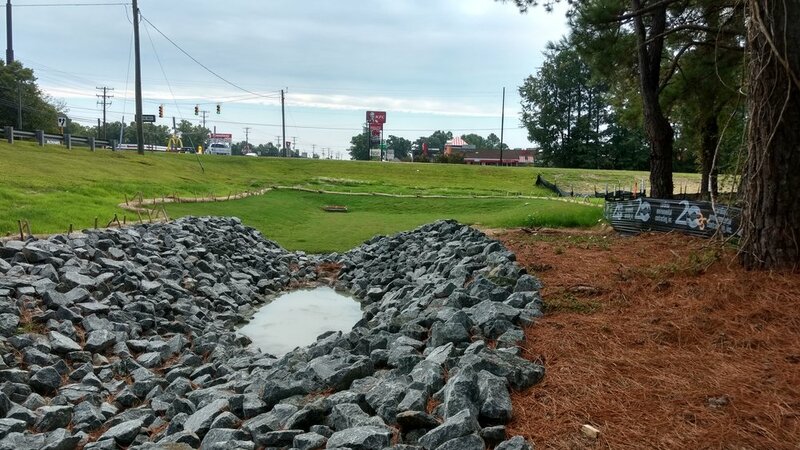 Do not underestimate the value that plants have in this process not only for cleansing the runoff but also by providing an attractive alternative to typical detention ponds. If rain gardens remain attractive while at the same time providing a functioning system, more people will be willing to spend the money and effort to incorporate them into the landscape.